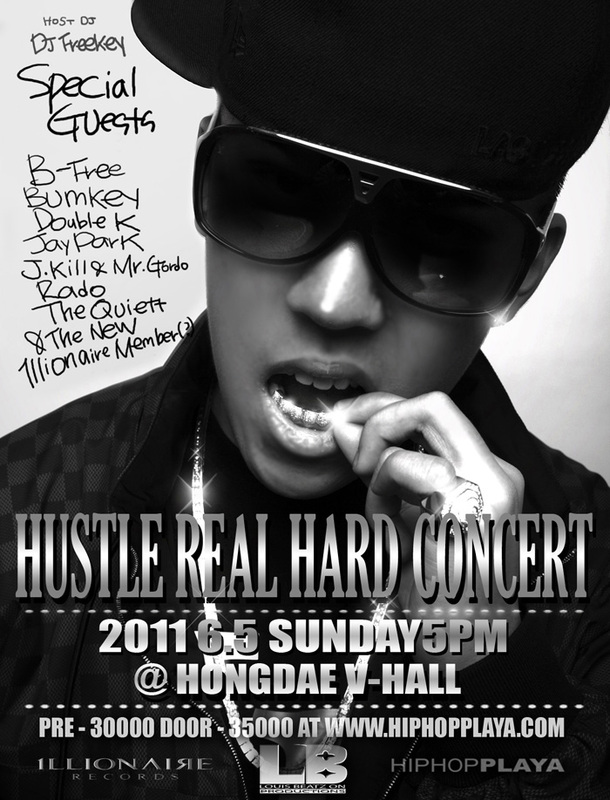 After ten years since his debut to the Korean hip-hop scene, Dok2 will celebrating the release of his first full-album [HUSTLE REAL HARD] by hosting an album release concert on June 5, 2011. The ‘HUSTLE REAL HARD’ concert will be attended by artists who were featured in the album such as Bumkey, Jay Park, Rado, The Quiett, as well as other hip-hop artists including B-Free, Double K, J. Kill & Mr. Gordo and DJ Freekey. This concert also celebrates the birth of Dok2 and The Quiett’s Illionaire Records and will reveal Illionare Records’ newest member on stage. Pre-sale tickets are available via HIPHOPPLAYA.com.